This is not an article I ever thought I would need to write. Peter Rabbit, that cute and innocent character that we all grew up with, has caused massive controversy in the allergy world over the past 24hrs. Many people are understandably aghast at a horrific event used in the story line of the most recent adaptation of this much-loved tale. So why the outcry? Shockingly rabbits in the movie attack a human with a food that he is allergic to – blackberries, with the full intent of causing a fatal reaction. This character then suffers an anaphylactic response, requiring the use of an epi-pen. As an allergy parent, I have little choice but to comment. My son has 28 severe allergies and I have been in the traumatic and life changing position of willing my baby son to keep breathing while the doctors battle to bring him back. We have almost lost him 3 times due to severe allergic reactions in his first year of life alone, and now work tirelessly to keep him safe every single day. He has to live surrounded by allergens that could kill him in seconds, and by the age of 6 has had to learn how to recognise his symptoms and what medications to use to keep him alive. This is the reality of living with severe allergies. We were warned he wouldn’t live to be 4 years old. He has made it to 6 years old, and our biggest battle is now to get him to 18 which seems a long way away. Imagine the psychological damage that watching a scene like this, where a group of children deliberately use a person’s allergy against them, could cause to my son, and indeed all children affected by allergies. Highlighting the vulnerability and isolation that can be the devastating side effects of allergies in a context where a person with allergies is bullied is irresponsible. At the same time there is widespread concern among those that have seen the film, that food allergies are made to appear as if ‘made up for attention’ with little seriousness surrounding them and making light of the severe allergic reaction. I very much hope this is not the case. There are millions of people all over the world who are living with severe allergies. As an allergy advocate, assisting many people with learning how to live successfully with multiple severe allergies, building up their confidence, and teaching them how to live life to the fullest in spite of the dangers that surround them on a daily basis, I am very disappointed by the responses to the movie. There is a fine line between funny and damaging, and this most definitely crosses the line into dangerous territory. There is nothing funny about knowing the odds are stacked against your child making it through their childhood and it is sadly well-known that children with allergies tend to be the victim of bullying, no matter their age. Sadly, through my own experiences with my son, I know it’s true. Life can be very cruel! Living with severe allergic reactions is utterly heart-breaking. You live in constant fear of it happening again, and at any time! You are living with a ticking time bomb, with no idea of when it is going to explode, constantly on alert for any signs of a reaction. The responses to the film are very worrying but I will refrain from further comment until I have seen the UK version of the movie when it is released in March. The best case scenario, of course, would be that the film conveys positive messages about allergies. The makers of Peter Rabbit have a fantastic opportunity to raise awareness and gain support for the allergy community. Let’s hope that it does that. My fear is that it will be the opposite. 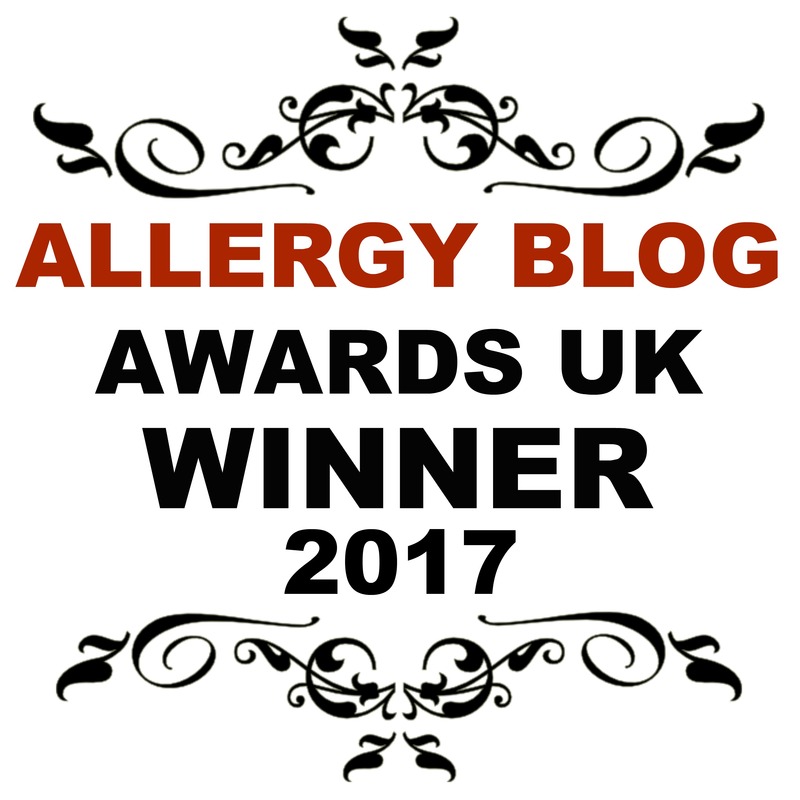 Living with allergies is hard enough, and they are life changing and should not be life limiting. You have the perfect platform to educate about allergies in such a positive way, please be responsible and do this. I will happily help you achieve this too! I hope that the creators of this movie do the right thing for all the brave allergy sufferers world wide and be an advocate for them all!